Getting tired of the usually match-three style games and need a replacement game to fuel that gaming addiction? Well look no further with Steve Richey’s new game for Android devices, Don’t Move. After opening up Don’t Move, players will find themselves controlling a lonely ninja just chilling in a hallway. After sitting there pondering what to do, you will find yourself saying to hell with the rules I’m going to move my ninja! Well you just died, but what’s this?! Your ninja just respawned back and now your even more confused but with a little glimmer of curiosity you move yet again and than another time and maybe a few more times and than before you know it the game has you hooked and you find yourself craving more. 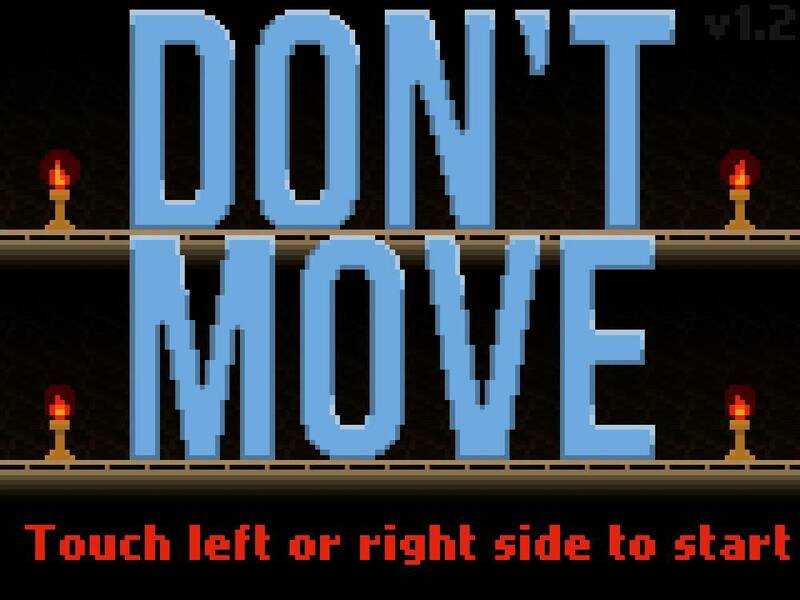 It’s really tough to describe the gameplay of a game such as Don’t Move, it is definitely something players will have to experience first hand. If you found yourself slightly intrigued you can purchase the wonderful game that is Don’t Move in the Google Play Store for just $0.99.